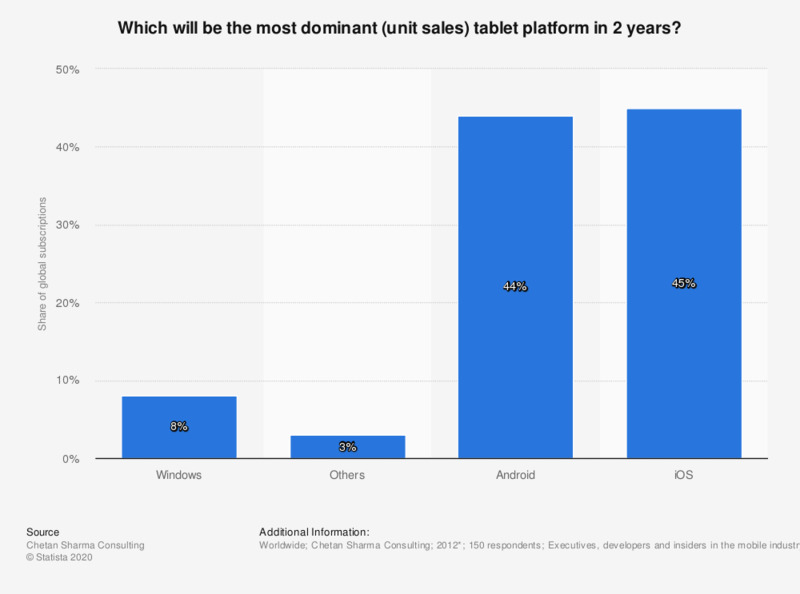 This statistic shows mobile industry experts predictions of what they think will be the most dominant tablet operating system in 2 years time (survey conducted in 2012). 45 percent of respondents said they believed that Apple's iOS for the iPad would be the most dominant tablet platform in the future. *The source does not provide information on how the survey was conducted or the exact dates of the survey.